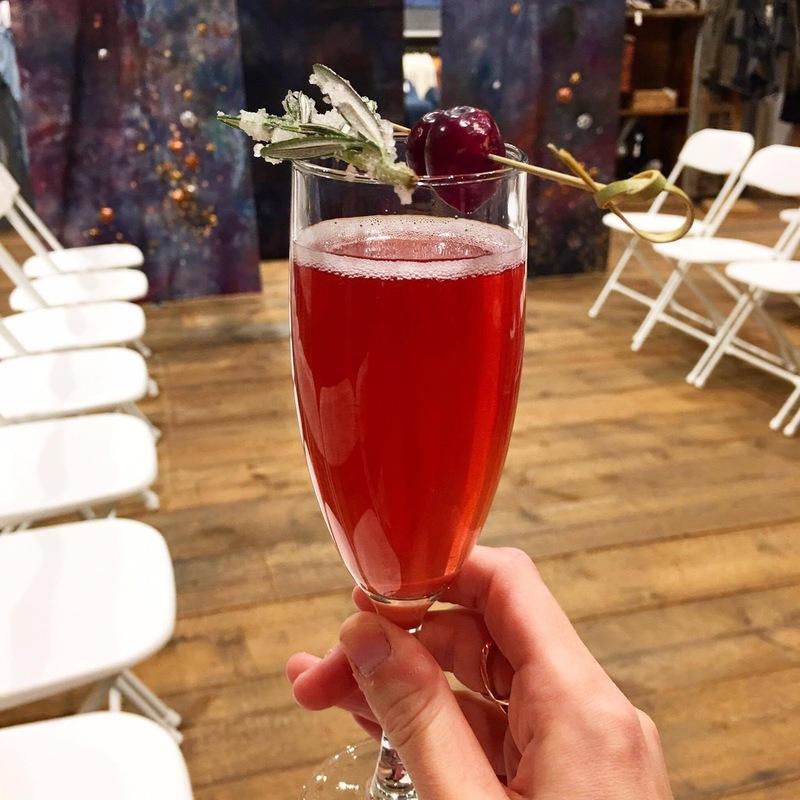 Instead of sharing a Midweek Ramblings + Recent Purchases post like I normally do yesterday, I wanted to share a different sort of update about some fun events that I attended last week on behalf of the blog! I know that I've said this before, but Charlotte is truly one of the best cities to be a blogger in. It isn't as overwhelmingly large as New York City or LA, but there is still a very significant blogging community here. Not only is it a wonderful community within the bloggers themselves, but many local businesses in the area are very open and supportive to working with bloggers, and often plan local events open to the blogging community. I have to say- Charlotte definitely tops Maine as far as the quality of movie theaters go. I have only had positive experiences at all of the movie theaters down here that I've been to! But out of all of them- Studio Movie Grill in Uptown Charlotte takes the movie watching experience to new heights. With leather reclining seats and a full bar and menu (which you can also order from during the menu! ), it makes the movie watching experience like no other. Studio Movie Grill hosted local influencers last Monday night to celebrate their new menu. We got to taste the new dishes, and also sample wines and a specialty seasonal cocktail. Each influencer invited got to bring a guest, and you received two complimentary movie tickets. 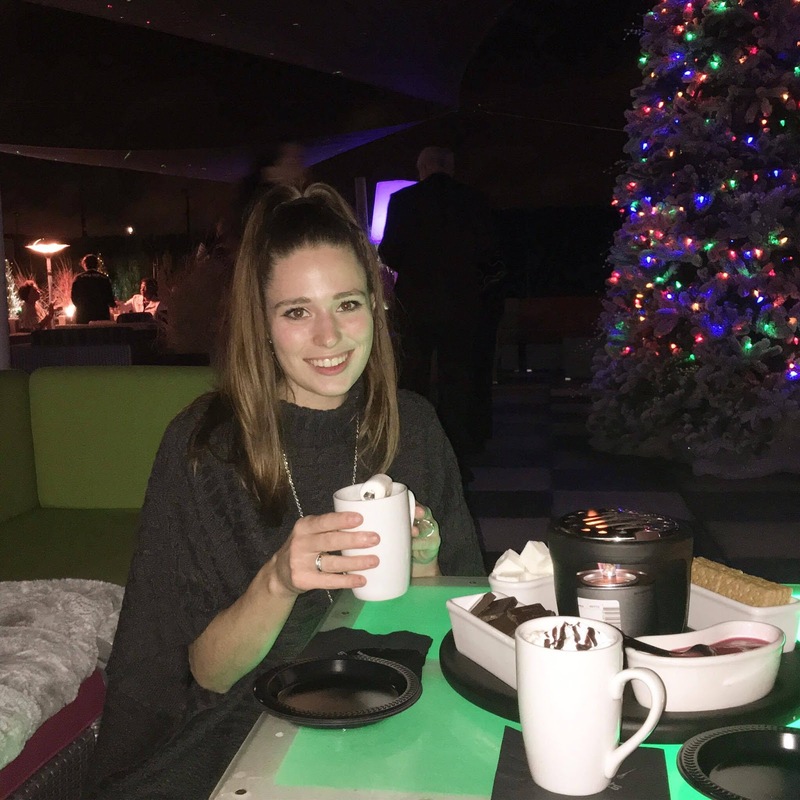 My roommate Ciera and I have been to Studio Movie Grill before for girls' nights, so of course I had to take her as my +1! We saw the romantic comedy Almost Christmas, which was just released in time for the holiday season. It was a lot funnier than we expected- I'd definitely recommend it! The new food and drinks were all fantastic as well, I would recommend the blackened chicken pasta. And as you can see- we almost had the place to ourselves for the showing that we selected of Almost Christmas! Thanks to Studio Movie Grill for making our Monday night a lot more fun that usual. This was definitely one of the most special events that I've attended at City Lights! 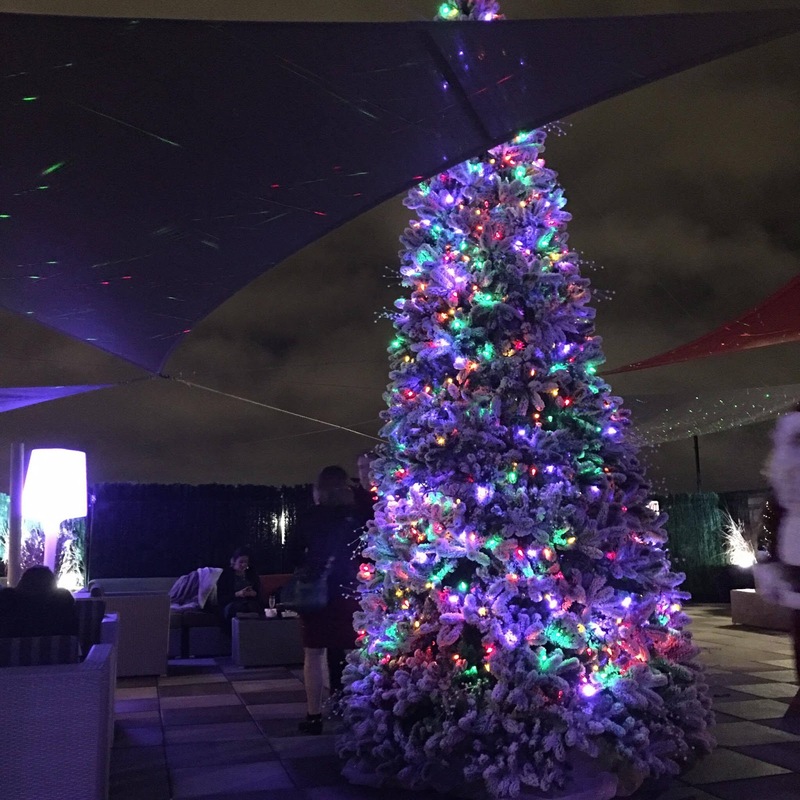 The beautiful Christmas tree that they had set up looked incredible against the skyline- the picture that I have above there doesn't do it justice! Caroline and I got to sample a few things from their holiday menu. We both enjoyed some of the "hard cocoas" and hot toddy beverages, and my personal favorite was the incredible bourbon s'mores platter that we were treated to! It was brought to our table with it's own mini flame, so that you could make s'mores right from where you are sitting. And of course we had to take our #ElfieSelfie with the official party elf! Thanks so much to City Lights for yet another fantastic evening! 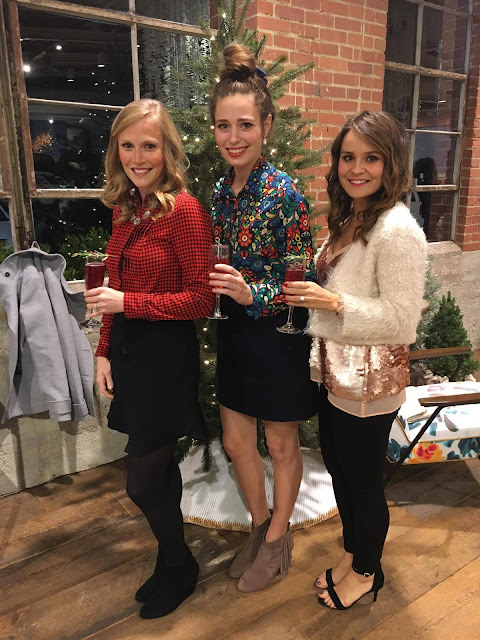 One of my Charlotte blogger friends who I met at The Blog Societies Conference this summer, Kristina from Medicine and Manicures, invited me to attend a fun holiday event at one of Charlotte' Anthropologie stories with her and her friend last Thursday evening. 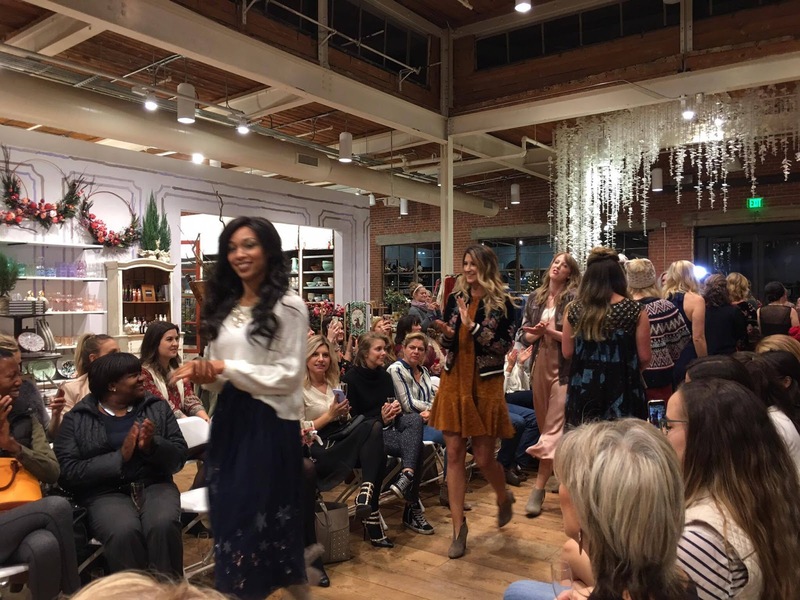 It was a holiday fashion show featuring some of the latest looks to hit the store, and there were also delicious cocktails and desserts! Minus a mug and a few small items, Anthro is a store that I tend usually more to browse in rather than buy in. 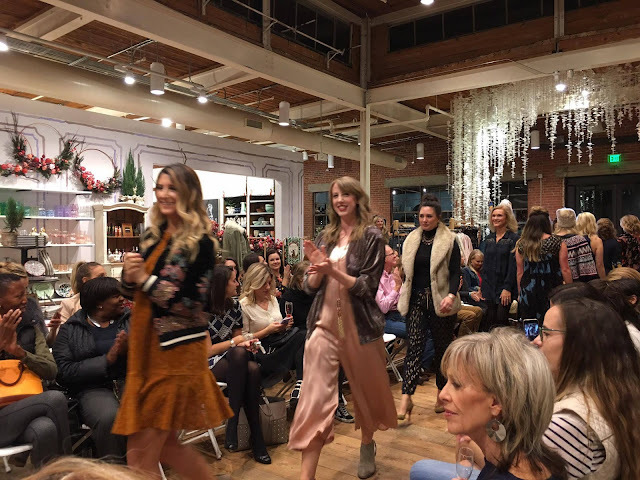 But after seeing this fashion show, I realized how many adorable clothing items they sell as well- especially for the winter season! It was a delightful evening. On Friday evening, I had the pleasure of getting to attend the opening of a brand new boutique, located in Charlotte's historic South End neighborhood (which is one of my favorite parts of the city!). 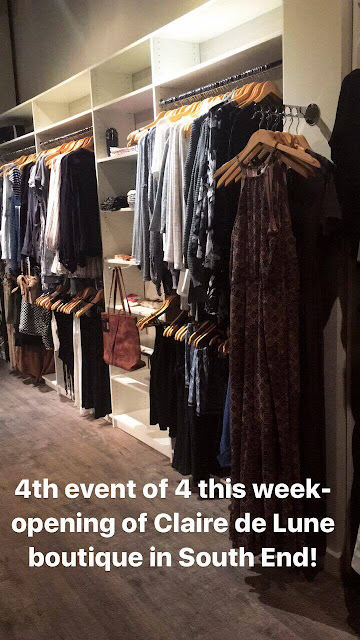 One of the things that I think makes Claire de Lune Boutique special is that Anna Kirwan, the owner is a recent alumna of my university! It's really exciting to see other Queens graduates finding so much success here in Charlotte, and pursuing their dreams. The opening was very fun, and I attended with my friend Mary, a friend who was in my graduating class in college, and who I'm now attending broadcasting school with! We both had the chance to catch up with a lot of other alumni from our university, and it was great to see all of Anna's hard work come to life. You might have noticed that Wednesday was the night last week that I didn't attend an event! I was at broadcasting school for most of that day working on a project, and ended up staying later than I expected into the evening trying to finish it. 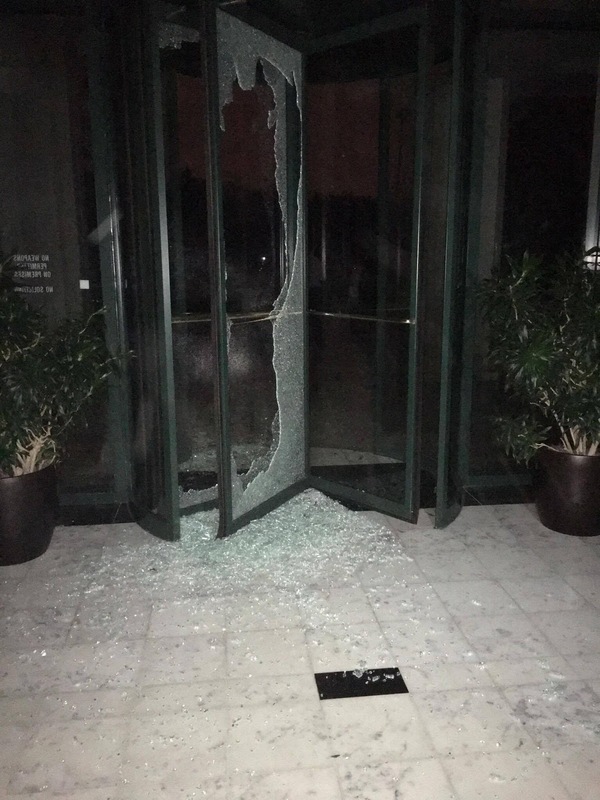 The weirdest thing about this tornado is it was later reported that it hit a radius of less than two miles in Charlotte! So it really only touched down in the neighborhood my school. The area that I live in, the neighborhood where my university was, Uptown... all of those places were fine! So that is your random peak into one of my busy weeks! 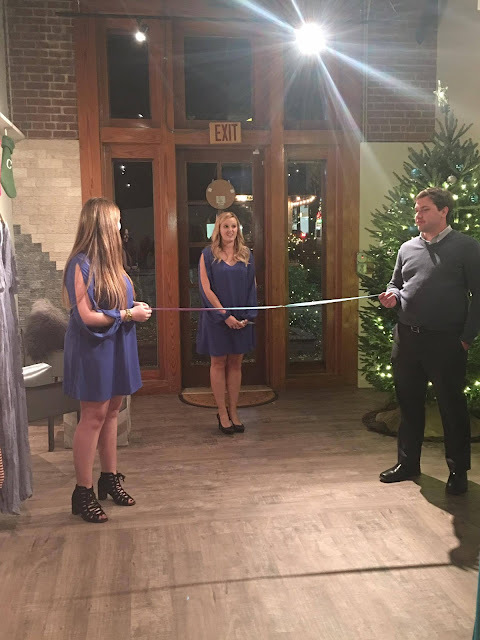 Have any of you attended fun events lately? Or survived any crazy weather? I am obsessed with Anthropologie, I guess you could say I like to browse and buy! 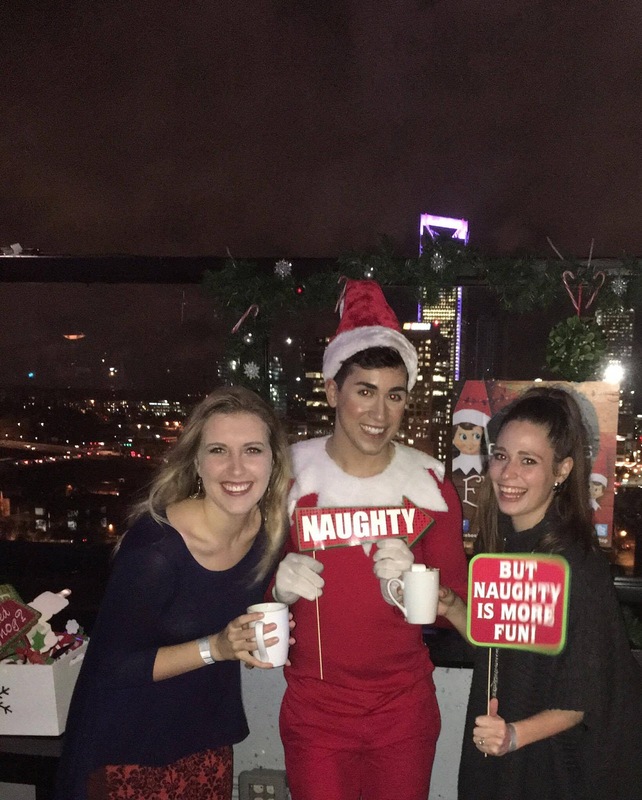 It sounds like you've had such a fun and festive week!! The holidays are one of the most fun times to be a blogger! I love all the fun events. Also, I'm so glad you're okay after the tornado! So scary! Oh my gosh - so glad you're safe! And glad you had some fun events this week! I'm still in shock about the tornado situation, wtheck!! Excited to check out the movie theater when I'm in town too! Busy girl! Sounds like you had a fun week...minus the tornado! Glad to hear you are safe! That sounds so crazy! Girl you are so busy!!! I am so jealous of all your awesome event you are going too. Oh my gosh girl! You have been busy! it's miles quite a miserable circumstance while you remember that you're tormented by several physical inabilities and no longer being succesful to do nicely on your sexual lifestyles. That movie theater looks AWESOME! 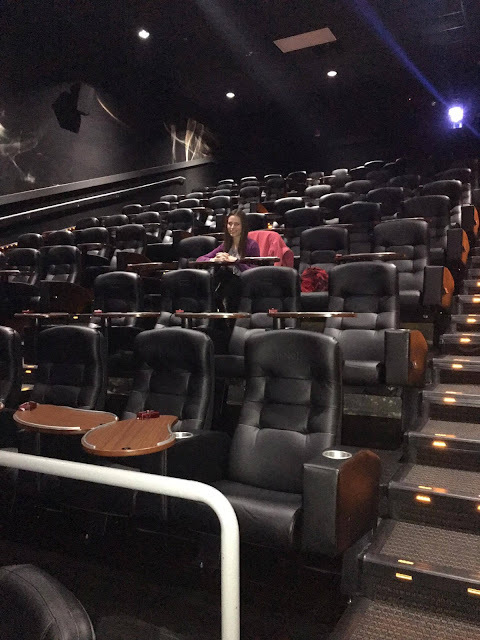 I wish Michigan had a theater like that! I'm so happy you were safe during the tornado. The events you went to looked like so much fun! I'm trying to see if there are any local events where my parents live when I'm home for break! The Anthro event definitely sounds like something I'd enjoy! Maybe I'll reach out to our local one about any future events! As for the tornado, we had one here too. Thank God you're safe!